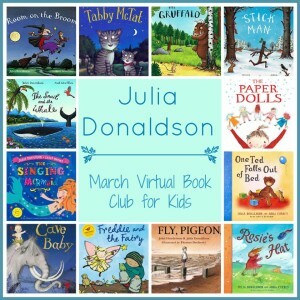 This month the Virtual Book Club for Kids is featuring Julia Donaldson. I wasn’t familiar with this popular, award-winning British author … so I was very pleased to be introduced to her wonderful stories. The kids enjoyed all the books by he we could find at the library, which was sadly only a small sampling of her work. Her work is so wonderful that I was motivated to create a couple of different activities from her books … so this post is to be the first! As many schools in the U.S. my son’s school was celebrating Reading Month this March. They have been doing many wonderful activities to help promote reading, such as talking about what the students’ favorite books are. 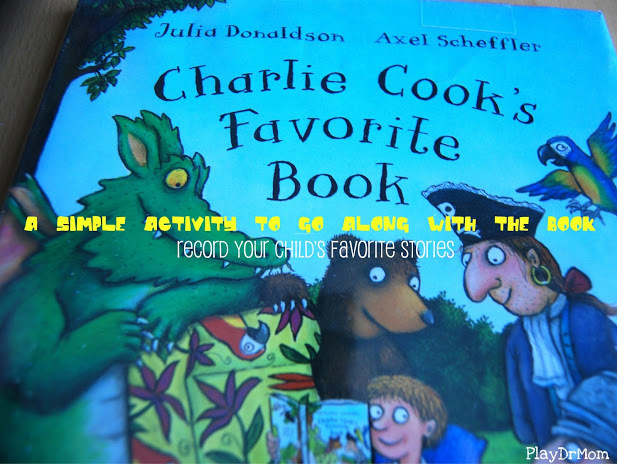 After reading, “Charlie Cook’s Favorite Book” I was inspired to write this story for my son in the fashion of Julia Donaldson’s book. A boy named Henry Hutchison who liked to read in parents’ bed. This seems like a great way to capture our children’s favorite stories at a particular moment in time. I hope to create more of these “copycat” stories for both kids every couple months as a special way to record their literary interests. 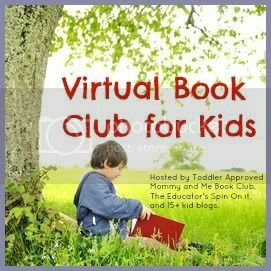 If you create one for your kids I’d love to read it! Please feel free to share it in the comments, my Facebook page, or email me! 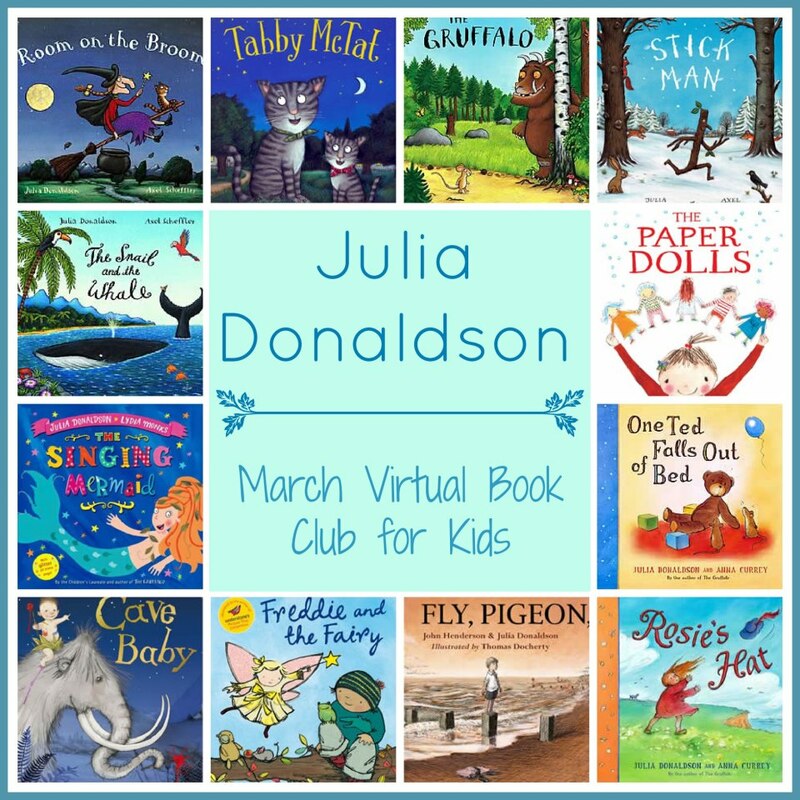 Pick a Julia Donaldson book to read with your child! Share what you did with us starting Monday, March 18th. We will have a linky up for 3 weeks where you can share any blog posts (if you are a blogger) or you can post what you did at the end of the linky post in the comments or on our Facebook wall.